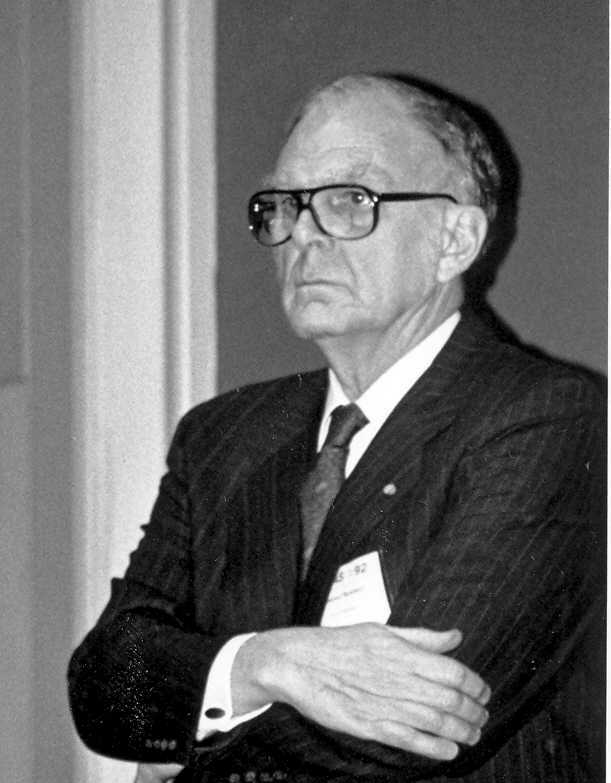 Sherwood Rowland at a 1993 NATO Advanced Workshop on ozone depletion, where he got into difficulty answering a question on why there are no measured increases in UV if there is ozone depletion. Rowland put the blame on the measuring devices, but Dan Berger, inventor of the devices, said that was not the case. More important than these errors is the fact that the methodology used to arrive at this set of beliefs is wrong. What has happened in the ozone depletion theory is perhaps the best example.of the New Age transformation of science into a "virtual reality" game in which computer models have replaced reality. Scientific truth, real world observations, nature, the biosphere, are all swept aside by the irrational belief that whatever image or numbers appear on the computer screen is reality. The scientific hypothesis has been replaced by "mathematical models" or, more precisely, the theory of "systems analysis". Dissenting voices are summarily excluded from the deliberations or the complaints are simply ignored. This is called the "assessment process". Then, when all models are compared, a "consensus" is formed and an edict is issued: Mankind faces doom because some model says this or that action will cause some damaging effects a half-century to a century down the line. These edicts are then promoted in the news media, and opposing views or evidence are seldom, if ever, mentioned. �Who and how many our visitors are?